When it comes to any selling a business, or anything at all for that matter, one thing that is unavoidable is the advertisement. Be it word of mouth, advertisements on websites and social media, or ads in the classified sections of magazines or newspapers, advertising your business is a must if you are trying to sell its products and services or the whole business along with its assets. With that in mind, here are five reasons that could be causing your business for sale ad to fail. It is very important for your ad to provide all the essential details of your business, including the location and the type of business you are selling. So, if you have a business for sale in Miami, make sure that your advertisement makes this clear. On the other hand, too many details could be very confusing and a big turn off for customers who might be otherwise be interested in buying your business. Before you decide to go public with your business for sale ad, make sure you have crisp and catchy ad copy to use that also covers all the pros of the business. Generally, you do not need to provide any reason for the sale of your business on the advertisement itself. This can be saved for later when any buyer contacts you and the conversation seems to proceed in a good way. 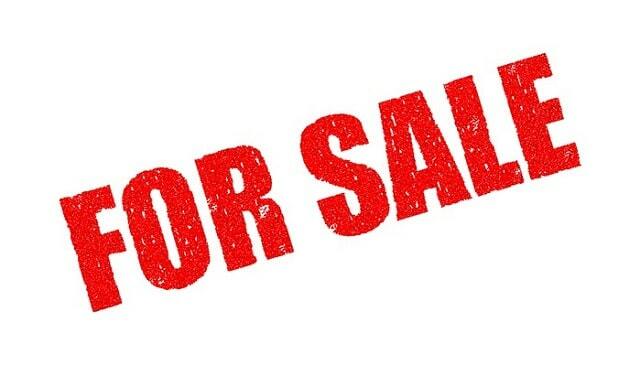 But just in case you really feel the need to put a reason for the sale of the business, avoid the use of language that might make it look desperate, such as ‘negotiable,’ next to the asking price. While not sounding desperate to sell your business, you should also not hype your advertisement up too much. Exaggeration of anything that goes on the advertisement is a huge way to send potential buyers off once they learn more details. So, before you put that all-in-caps LIMITED SALES ONLY on your banner, remember that this sale might not sell anything at all. Without taking the risk of exaggerating your speech on the ad, keep it as humble and real as possible. All texts and no images makes for a dull advertisement. Your ad, along with all the important things that you need to tell your customers about, has to have photos or images of good quality to draw the attention to the customers. What use is the ad otherwise if it does not get the attention of buyers? Another important aspect of advertising is proper and efficient contact details that you are providing in the ad. If the contact details provided do not connect directly to you, then you have really high chances of losing potential customers. Customers get frustrated easily if the given contact details do not work well or if the response time is too high. The details that you provide should be easily accessible and available. Make sure to include a mobile number or email address that you use frequently so that you can respond to the queries made as soon as possible. Effectively advertising isn't always easy, otherwise anyone could do it. Keep these criteria in mind and enjoy a higher ROI on your ads. I hope you enjoyed this blog post about the main reasons why your business sales advertisement isn't working. Interested in more articles about advertising and marketing?